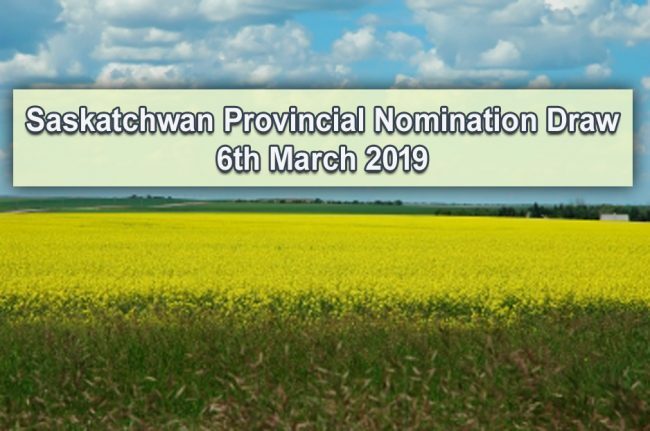 On March 6th 2019, new invitations were issued to a total of 138 candidates under the Express Entry and Occupations In-Demand stream by Saskatchewan. The Saskatchewan Immigration Nominee Program (SINP) facilitates those candidates who cannot make their way through the Federal Express Entry system. There were 68 candidates invited under the Occupations In-Demand sub-category with a minimum EOI score of 81. This category allows candidates having previous work experience in one of the professions mentioned in the in-demand occupations list to apply for the Saskatchewan Immigration Nominee Program (SINP). Most of these occupations require a license from the designated body to secure a successful nomination. The rest 70 candidates, having a minimum score of 67, were invited through the Express Entry sub-category. It is an online system to issue Invitations to Apply (ITAs) to the highest ranked candidates in the EOI pool. Read more at; Saskatchewan’s Express Entry draw held on 28th February 2019. To submit an Expression of Interest (EOI), candidates must have their Educational Credential Assessment (ECA), valid proof of work experience, and a required score of IELTS. Once you receive an ITA, a complete application must be submitted within 60 days of receiving the ITA by the Saskatchewan Government. The round of selections take place on a monthly basis, at minimum, and the size and frequency of EOI Selections are determined by the needs of the SINP application inventory. The online Expression of Interest (EOI) system adopted by the Saskatchewan Immigration department is a relatively easier platform to submit your profile. However, an expert’s advice allows you to submit an application free of errors. We at Immigration Experts are here to guide you in this regard. If you are interested in having your immigration for Canada, Australia or New Zealand, you may contact us by phone or email. Don’t forget to subscribe to our Youtube Channel to get frequent updates.